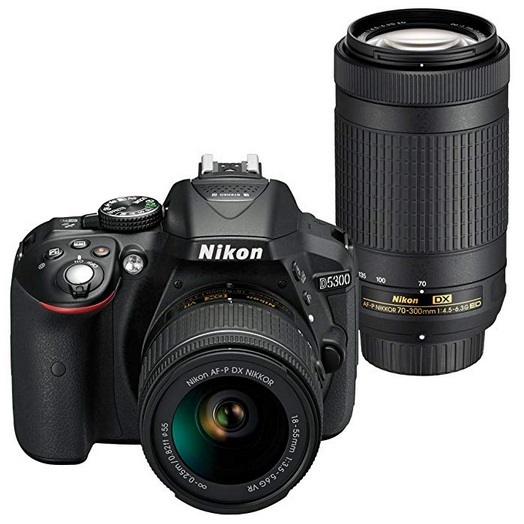 Home > Uncategorized > Nikon D5300 Digital SLR Camera Dual Lens Kit Only $496.95 + Free Shipping From Amazon! December 5, 2018 Comments Off on Nikon D5300 Digital SLR Camera Dual Lens Kit Only $496.95 + Free Shipping From Amazon! Amazon has the Nikon D5300 Digital SLR Camera Dual Lens Kit marked down to only $496.95 + Free shipping! Save An Extra 30% Off OXO Kitchen Gadgets From Macy’s!